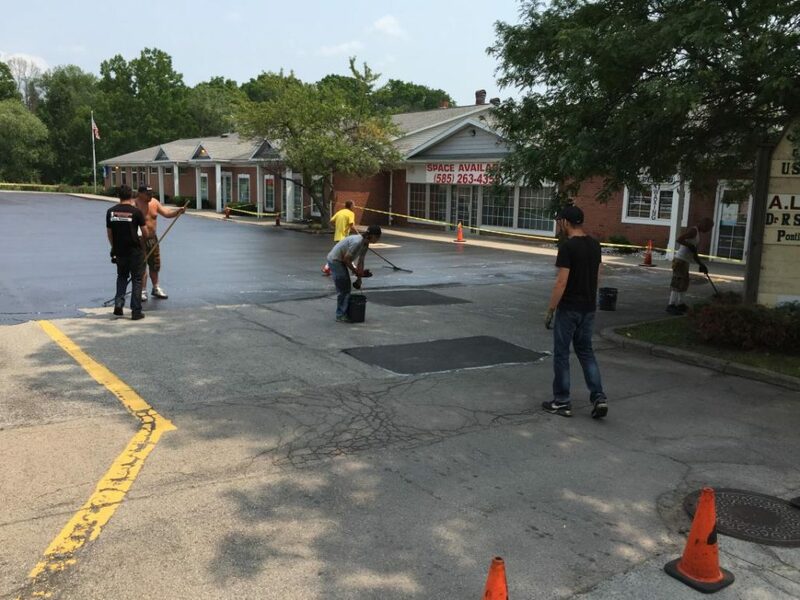 Northeastern Sealcoat & Paving offers both residential and comercial asphalt repair services. 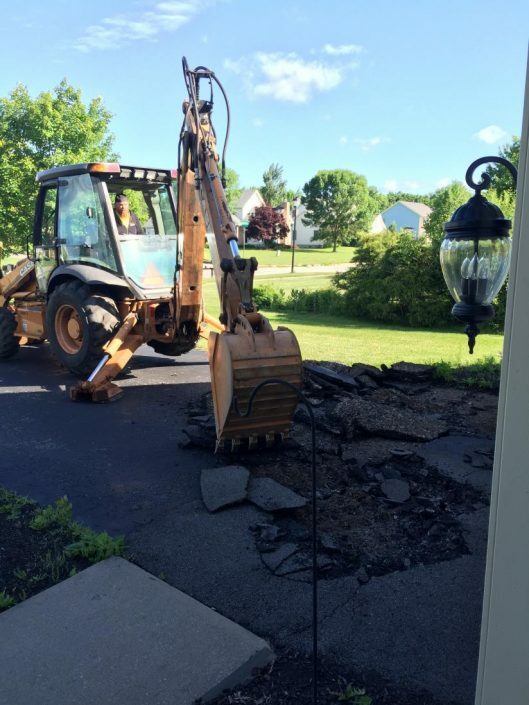 Damage to asphalt usually happens from moisture penetrating cracks in the asphalt, then freezing and expanding. This is very typical with our New York weather. 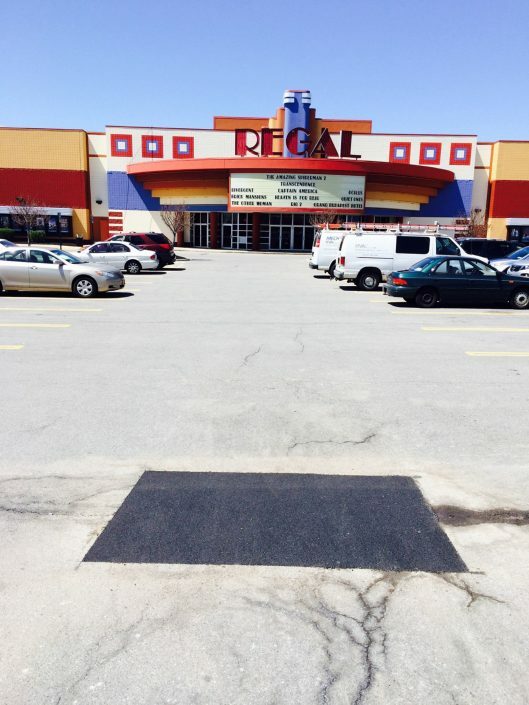 This is both visually unappealing and potentially unsafe terrain to pedestrians and vehicles. 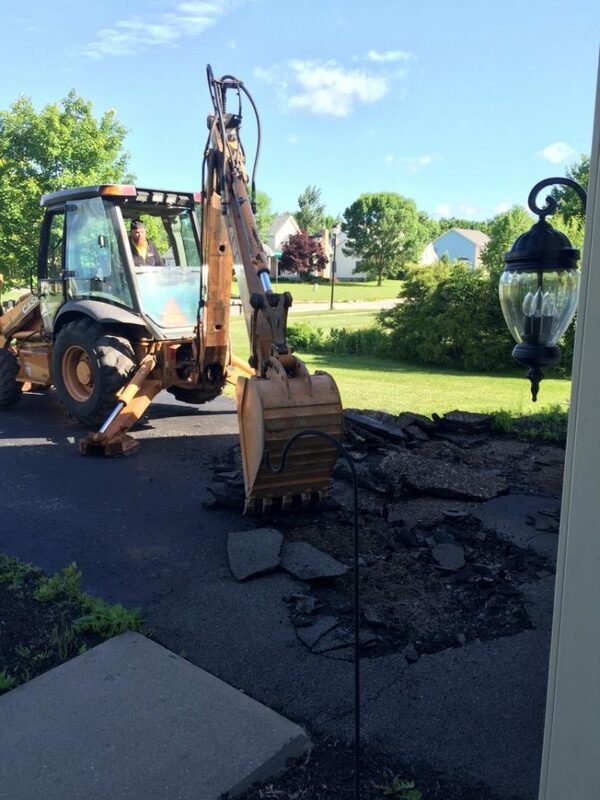 To properly repair an asphalt area that is failing we saw cut and remove the damaged area. If necessary more stone will be added and compacted. Then the new asphalt is added and power rolled to compaction. 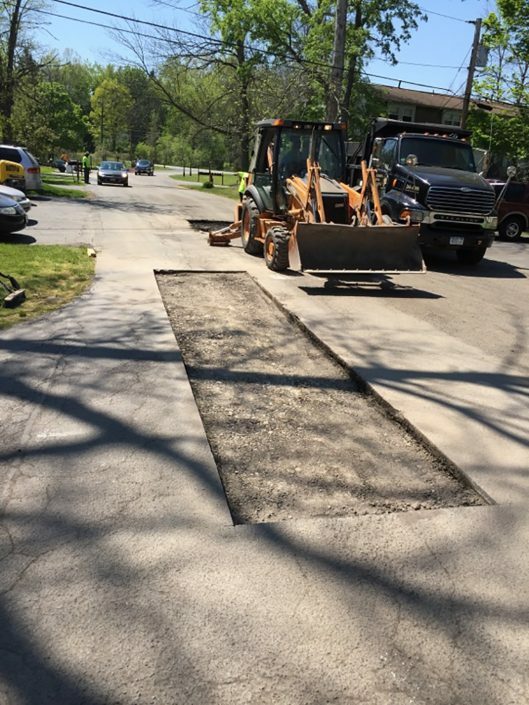 Asphalt is fairly standard, for patching and repairs we use the same aggregate as we do in our paving process. Our hot mix asphalt is compacted and sealed to prevent water infiltration. 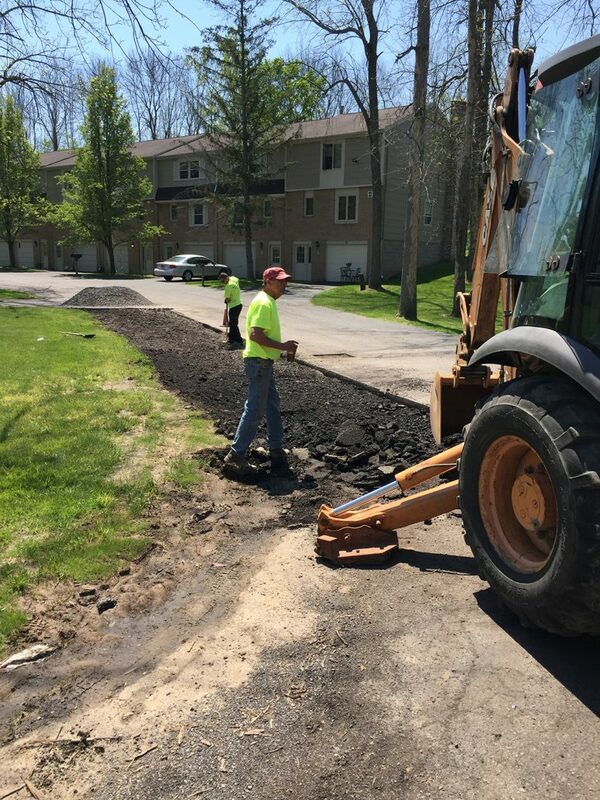 All of our driveway and commercial asphalt repair services come with a free estimate.